It's our final challenge for 2014 at Digi Choosday and the theme is Last Minute Christmas Gifts. 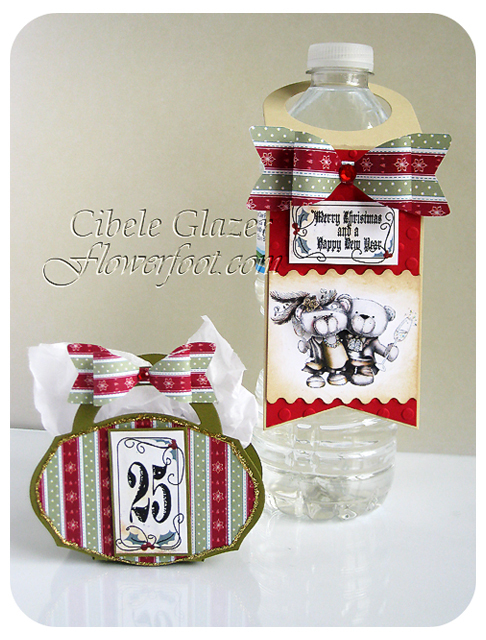 For my project I made a bottle tag and a little gift bag using paper, sentiments and the bow from the Festive Hollybobs Collection and from the pre-colored Winston Bear Celebrate from the Winston Deluxe Full Collection. This image is also available uncolored seperately HERE. I printed several three of the bear images and cut out different parts of the bear and added some dimensional foam. I also added some glitter to their champagne glasses and to her pearls. 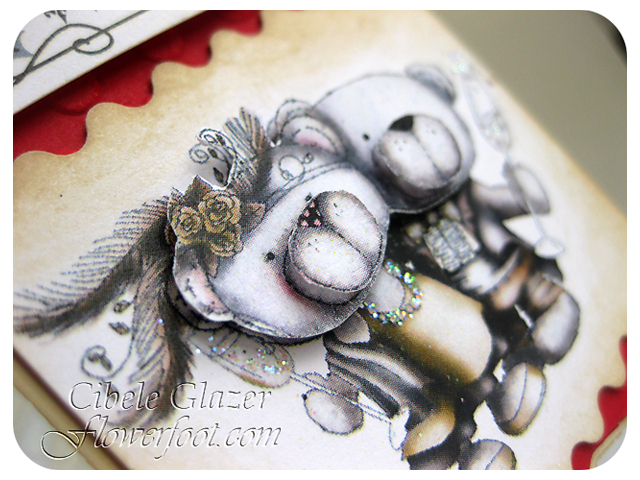 On the gift bag, I added some stickles along the edges for added sparkle. You'll notice the bow was printed in two different sizes and then cut out and I added an added an adhesive-backed gem to the center for some holiday sparkle. 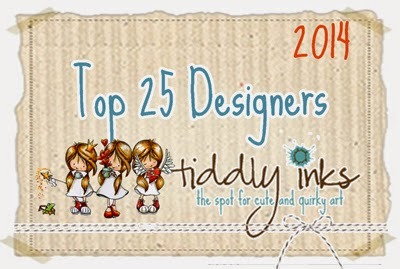 Be sure to check out the Digi Choosday Blog for more great ideas from the DT Team and to leave a link to your project for your chance at winning. We'll be back in the New Year with more great projects for you. Oh these are such fun gift ideas. 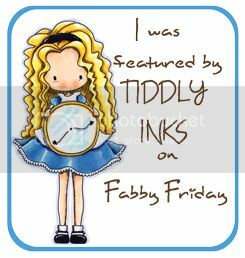 Just adore the cute images, fun design paper and scrumptious bows. Nicely done, love the 3d effects and cute image! Such fun!! Love what you have done!! Thanks for joining us at Through the Craft Room Door! Great idea for a lovely gift!!!! This is soooo cute!!!! Love the great decoupage you have done! Great gift ideas!! Love the tag and the gift bag-very beautiful!! Thanks for joining us at Through the Craft Room Door! Great card. Make sure to post our color palette aswell. Thanks for joining us at CCC and good luck. Thanks for playing along with us at CCC. Please post both your card and the color palette photo. Great work! Cute set of tags. Thanks for joining us at Tuesday Throwdown for this challenge.